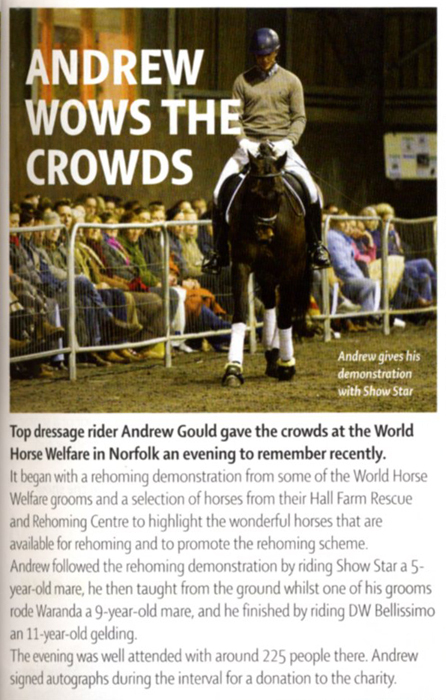 With the applause still ringing in their ears and the critics singing their praises, Andrew and Katie Price have completed their performances for the crowds at the Horse of the Year show. 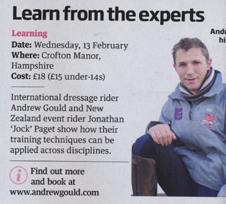 As reported in the National press Katie Price and Andrew Gould were asked to perform a display for the Friday afternoon performance of the Diamond Jubilee at HOYS. The event has been hailed a massive success and Katie and Andrew were asked to return and perform in the Sunday finale which they did to the delight of all that attended. 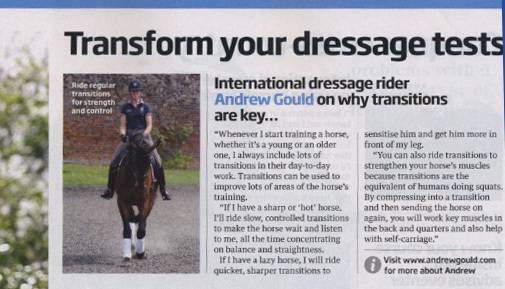 Andrew spent considerable time developing a routine with music and chorography that would impress the spectators and bring a little glamour and excitement to dressage in the large HOYS arena. 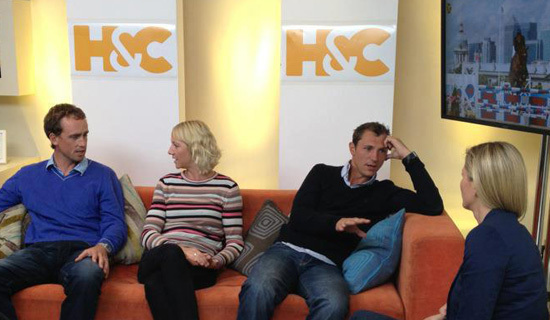 Andrew enlisted the help of fellow rider Henry Boswell to join him and Katie put on the show. The three practiced their routine and perfected their dressage to music display in the days leading up to the prestigious show. 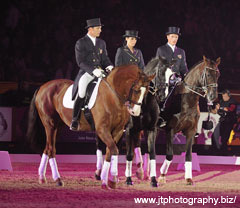 Despite changing horses at the last minute due to lameness and Katie’s hectic International schedule they managed to put together a routine that impressed even the dressage elite with Richard Davidson hailing the crowds to give the trio another rousing applause following their performance. The trio entered the main HOYS arena to ‘Mysterious Girl’ a track by Katie’s pop star husband, Peter Andre which perfectly set the scene for their performance. 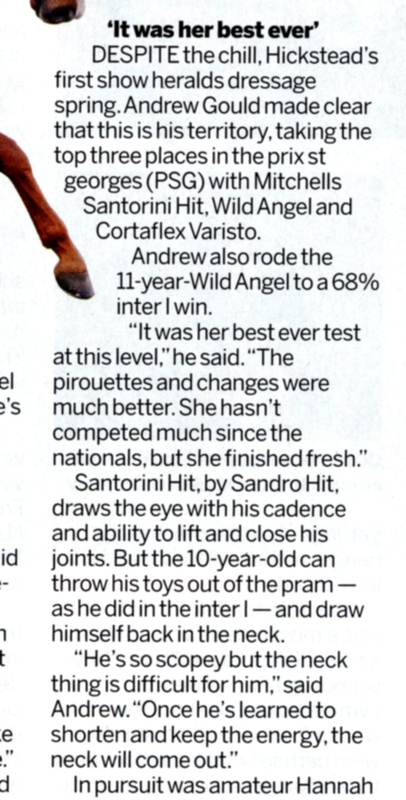 Katie proceeded to demonstrate many advanced dressage moves including two-time and one-time flying changes, canter half pass and extended trot much to the awe and delight of the crowd. 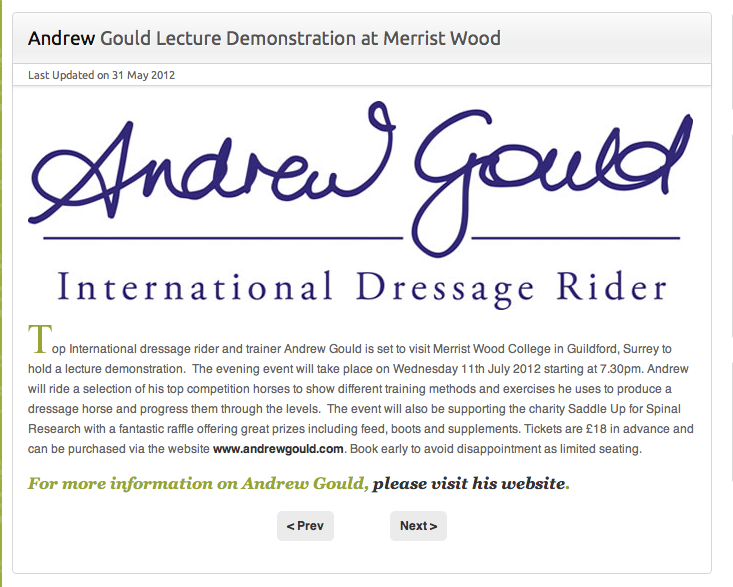 Nupafeed are the proud new sponsors of International dressage rider and trainer Andrew Gould. 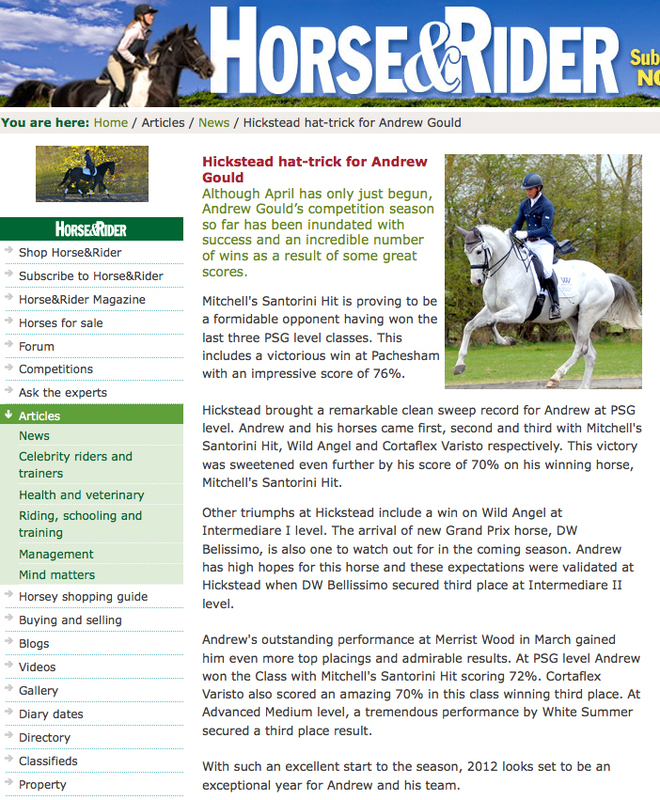 Andrew has been feeding Nupafeed for many years and has always raved about its fantastic results. 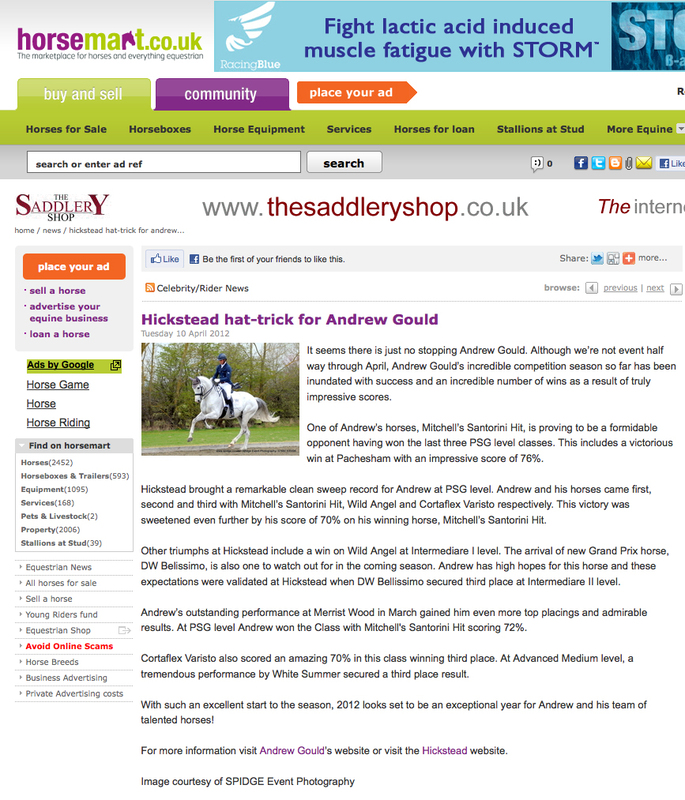 Nupafeed have formulised their long-standing relationship with Andrew and the pair are delighted to be able to promote the Nupafeed range together. Nupafeed products are developed by German Pharmaceutical Company, Verla Pharm, on the basis of scientific findings using their high grade, superior quality ingredients. Manufactured in an exclusive environment with stringent quality and production control to eliminate any risk of cross contamination, therefore ensuring the integrity of our unique and highly reputable products. 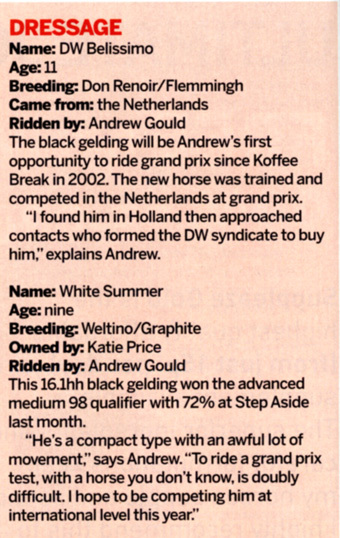 The Nupafeed range contains no illegal or banned substances and has passed the accredited screening procedure used by the IOC, FEI and Jockey Club at the HFL Laboratories, Newmarket.